The Australian Pro Bono Centre has been meeting with in-house lawyers at a number of large corporations in Australia in recent weeks to support the development of in-house pro bono programs and policies, writes Gabriela Christian-Hare. The benefits to the wider community in having more Australian lawyers involved in pro bono work are clear and well-established. Corporate counsel, who form approximately 16 per cent of all Australian lawyers, can make an important contribution to pro bono. Pro bono legal work can strengthen and complement an organisation’s corporate social responsibility or community engagement program. Pro bono stems from the professional responsibility of lawyers to assist access to justice for individuals and the organisations that support them. While a variety of pro bono projects may be considered, it can be highly valuable from a corporate perspective to identify projects that support, or are consistent with, the focus of its corporate social responsibility or wider community engagement program. The in-house legal team’s contribution can reinforce and act as a clear demonstration of the corporation’s values. In particular, doing pro bono work for a charitable organisation that the corporation already supports through a foundation or other community engagement strategy not only further supports the beneficiaries of the foundation or strategy, it’s also important in attracting support from senior management, passing the corporation’s conflict checks and ensuring the sustainability of the in-house program. Well-run in-house pro bono programs can make a position in the corporation’s legal team more attractive to the best recruits. Many high-quality in-house lawyers will have come from private practice where they have directly experienced and benefited from involvement in pro bono legal work. The impact of pro bono legal work on the professional development of staff is gaining wider acceptance. Many corporations report that pro bono enhances staff morale and retention by allowing in-house lawyers to use and develop their legal skills outside their normal client focuses and practice areas. Doing pro bono work feels good. It’s an act of giving, which not only supports the wider community but can also boost the wellness of staff involved. Busy corporate lawyers may not find the time they desire to give back to their community. Involvement in well-run in-house programs can help satisfy that desire. Ultimately, having happy, fulfilled in-house lawyers contributing to an organisation’s community engagement program makes good business sense for employers. Doing pro bono is now easier than ever. The regulatory barriers that previously prevented in-house lawyers from participating in pro bono legal work have been largely dismantled. Now, in most Australian jurisdictions, lawyers who hold corporate and government practising certificates are permitted to undertake pro bono legal work. If an in-house lawyer is not already covered by their organisation’s professional indemnity insurance to do pro bono work, they can be insured for free under the centre’s National Pro Bono Professional Indemnity Insurance scheme. This scheme is underwritten by Lawcover and has, in the last six months, provided insurance to 80 pro bono projects nationally, involving a total of 2,244 hours of pro bono legal work. Many of these projects and hours were undertaken by in-house counsel. In view of the positive response to pro bono from corporates, the centre has partnered with the Law Society of New South Wales and the Association of Corporate Counsel Australia to produce Pro Bono Legal Work: A guide for in-house corporate lawyers. The free guide, launched earlier this month, aims to support corporations to establish or bolster in-house legal pro bono programs and to assist individual corporate lawyers seeking involvement in pro bono legal work. As the centre continues its conversations with corporates, we hope that the guide will both spark greater enthusiasm for pro bono work, and be an excellent resource for corporations wishing to formalise their commitment. 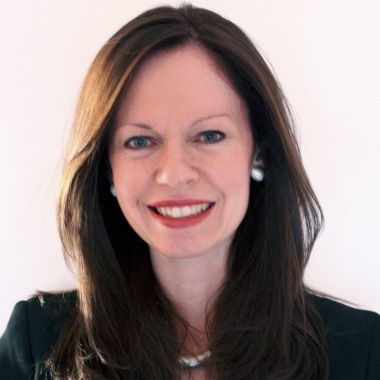 Gabriela Christian-Hare is head of strategy and policy at the Australian Pro Bono Centre.